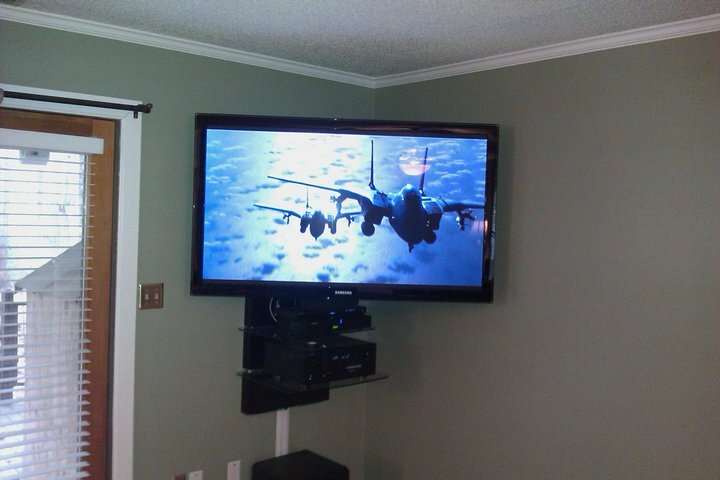 CUSTOM HOME THEATER INSTALLATION YOU CAN AFFORD! 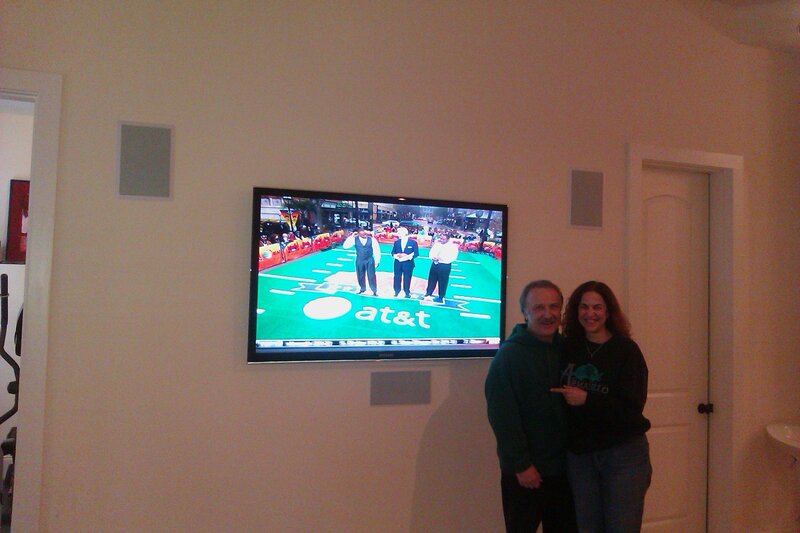 Why is a good affordable home theater installer is so hard to find? 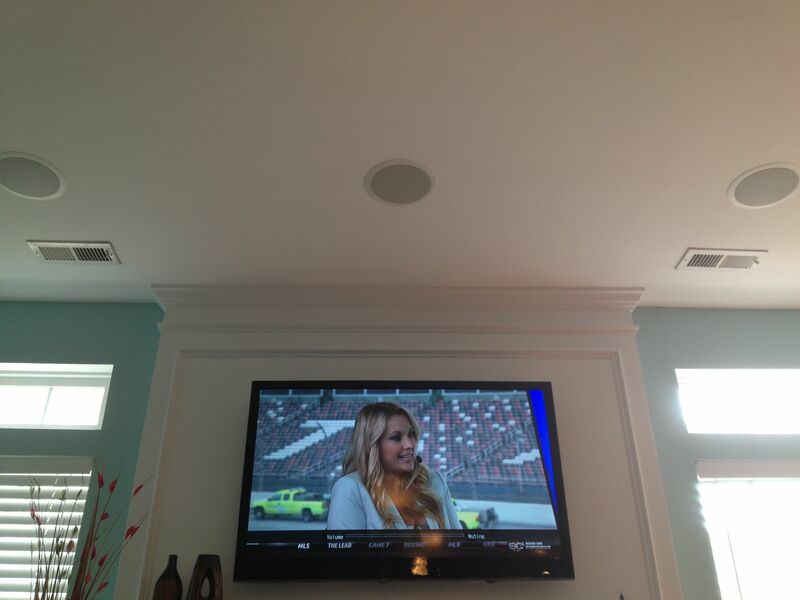 Why do you get expensive quotes for a home theater installation service that you thought would be more affordable? Home theater installation is not as simple as it may seem while standing in the middle of the room that you want to transform into a home theater room. 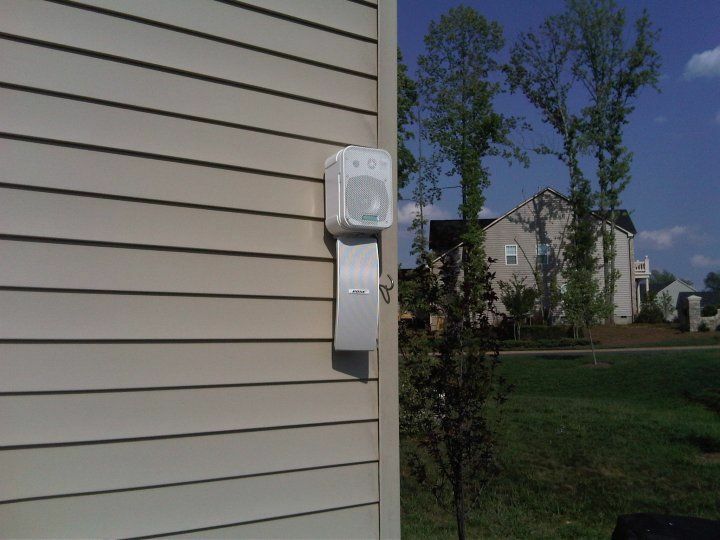 Installing your home theater devices takes a knowledgeable home theater installation expert who is careful, focused, and sometimes nimble enough to walk on the studs in your attic. Your attic studs are spaced 16 inches apart so one wrong step and the home theater installer could fall through the attic, causing possible fatal injuries and expensive damage to your home. Your attic is not the most comfortable place to work. There is no heating or cooling in the attic so the attic temperature can range from 0 degrees to 140 degrees, depending on the time of year in the Charlotte area. 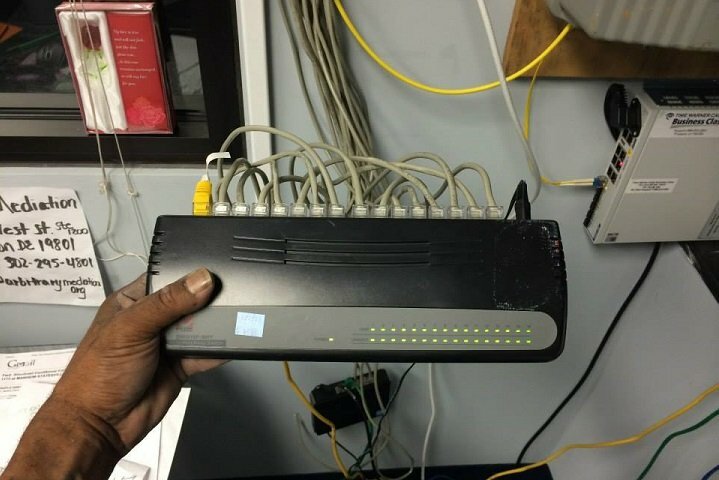 Sometimes home theater wiring may need to be routed through the crawlspace or under the house, which is another very dangerous place to work because of insects, snakes, insulation, and limited space. There are a few decisions to be made along with some professional expertise if you want your home theater installation to be as attractive to look at in the daytime as it is at night. 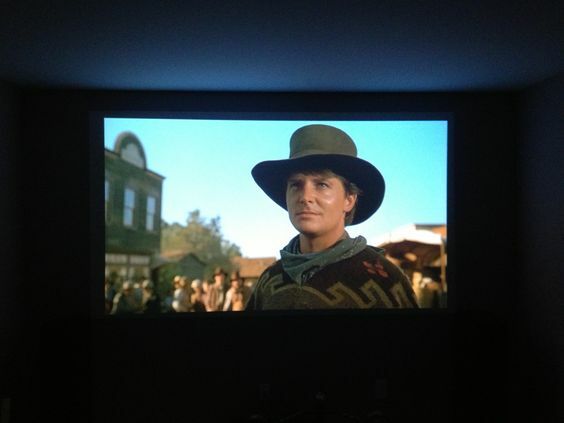 Projector Or TV For Your Home Theater Installation? 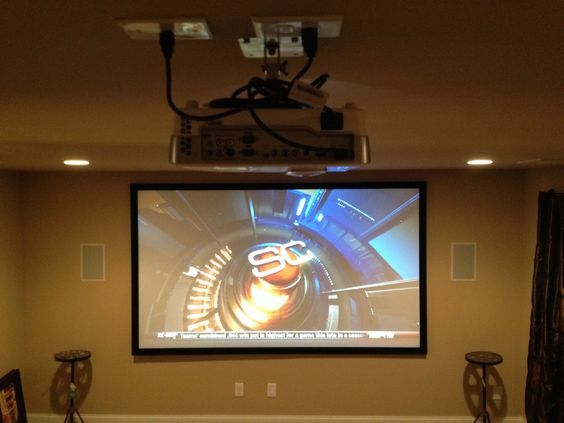 The first decision you should make is do you need a projector installation or a large TV? This decision may be affected by room size or lighting. Lighting issues in closed-in rooms can be easily fixed with the right window treatments, while open areas can present a problem. 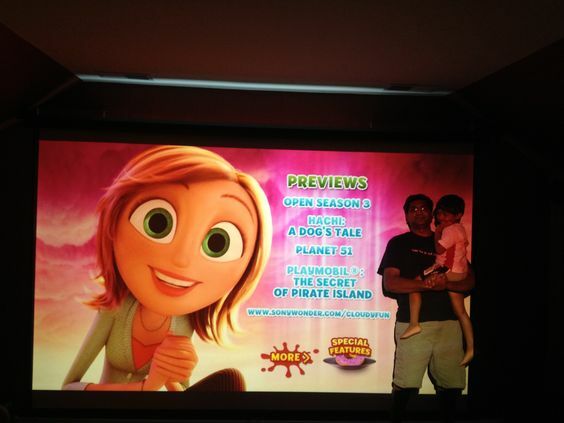 Projectors work best in dark light so the color contrast is greater. If you prefer a projector over a TV, you also have to decide if you want to use a screen or not and if so, what type, fixed, automatic, or manual. 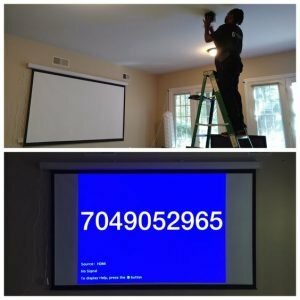 Projector installation options like ceiling and shelf mounting may be determined by room size and ceiling obstructions like ceiling fans and track lights. 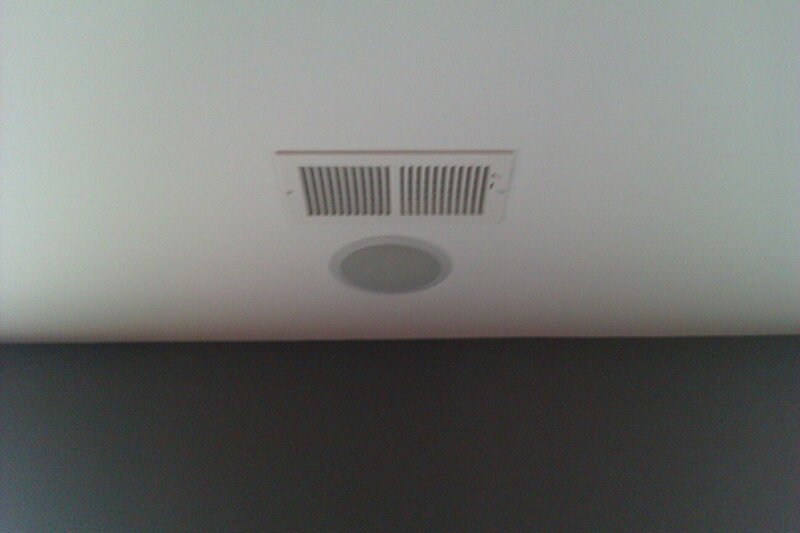 Next, decide what kind of speakers you need and where you want them. In-wall, ceiling, satellite, or bookshelf speakers. 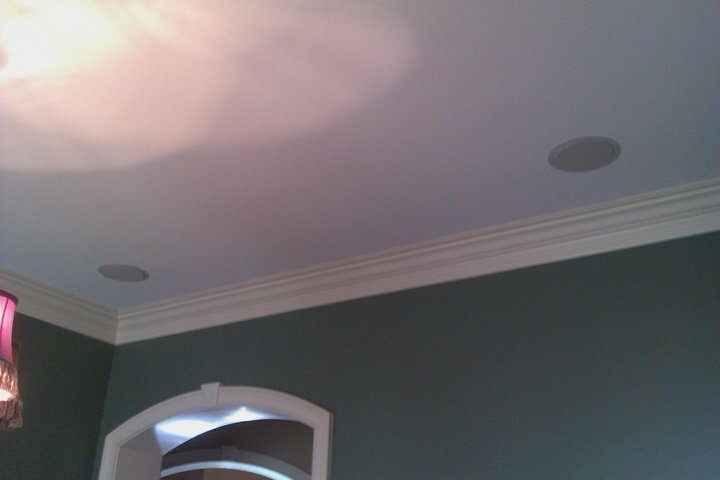 Wiring surface and routing methods can be discussed with your installer to help you determine what kind of speaker installation you need before wasting your money on a purchase that you will have to return. How cool would it be to listen to your favorite tunes outside? 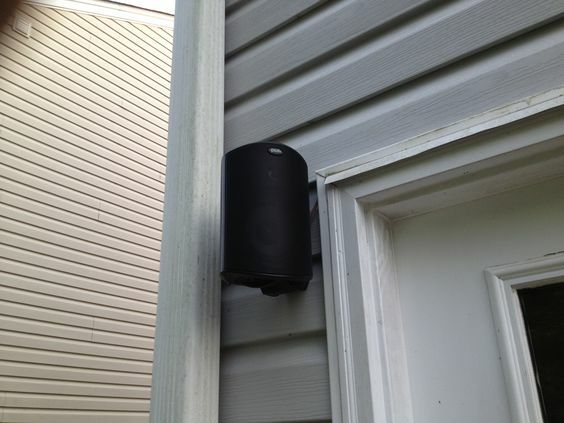 We offer outdoor speaker installation services so you can leave that little blue-tooth speaker you’ve been taking outside in the house where it belongs. 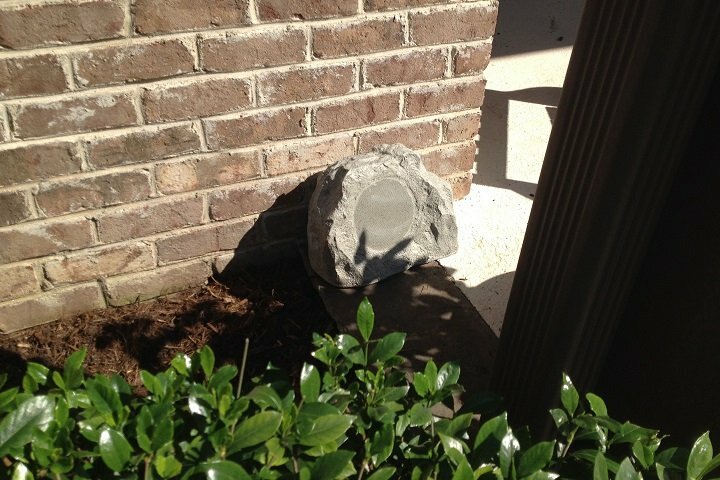 Rock speakers, spike speakers, and gnomes are a few outdoor speaker designs we offer. 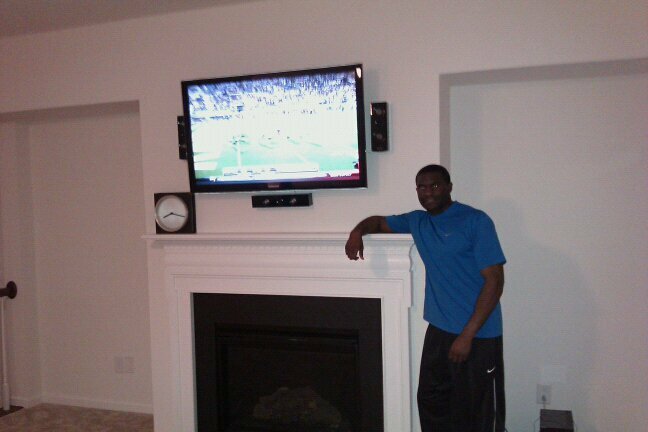 Whether you are finally planning to design that huge man cave or just want to set up a small home theater room for the family, TV Mount Charlotte is here to guide you through the entire home theater installation process. 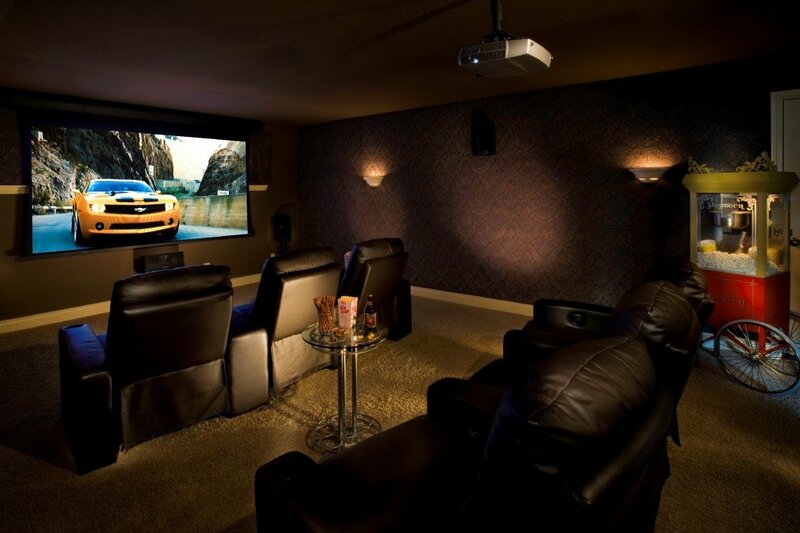 We can save you even more money by providing your home theater devices for you.